The successive solid Note series by Xiaomi has again come back with another contender in the series as Xiaomi Redmi Note 6 Pro. Note 6 has come up with a notch design and a few improvements to the predecessor to keep up to the changing market trends. After the success of the Redmi Note 5 Pro which brought a massive upgradation over its forerunner and became the fastest selling smartphone in the Indian market for three consecutive quarters. Can the meager tweaking in the Redmi Note 6 Pro keep up to the changing demands and dynamics of the market, needs to be found out. That needs us to dive into the specifics of the device and its performance in the market. Let’s begin. The Redmi Note 6 in terms of its design language is fairly similar to the Redmi Note 5, its predecessor. The metal unibody launched initially by Xiaomi in the budget segment of the smartphone industry, continues to be a flagship of Xiaomi designs. Although other brands have come up with premium glass designs, Xiaomi has stuck to its bygone design with minor tweaks here and there. In fact, you won’t feel any difference between the Redmi 5 and Redmi 6, or even Redmi Note 6 Pro because of the hackneyed designs. Even with its antiquated designs, the Redmi Note 6 Pro present a superb build quality and solid metal body looks. Besides there are benefits of using a metal body, as it’s not easy to get scratched or smash. Though when it comes to the market competition the Redmi has failed to inspire its customers with new appearances and looks monotonous. Note 6 has a functional design and features some refined design changes that enhance the user experience, as the iPhone-like notch, the arc design on the back. Water resistant P2i Nano-coating protects the phone from all contacts of liquids and ultimately from corrosion even after water gets into the device. The rounded corners are smooth and pronounced edges adding to the hand grip facilitation. The on the right side are the volume and power buttons and on the left side is the hybrid SIM tray. The buttons give definitive clicking experience. At the top, there’s a 3.5mm headphone jack. The back is made of a metal plate and hold a dual camera with fingerprint scanner while the mid-frame is made out of plastic. 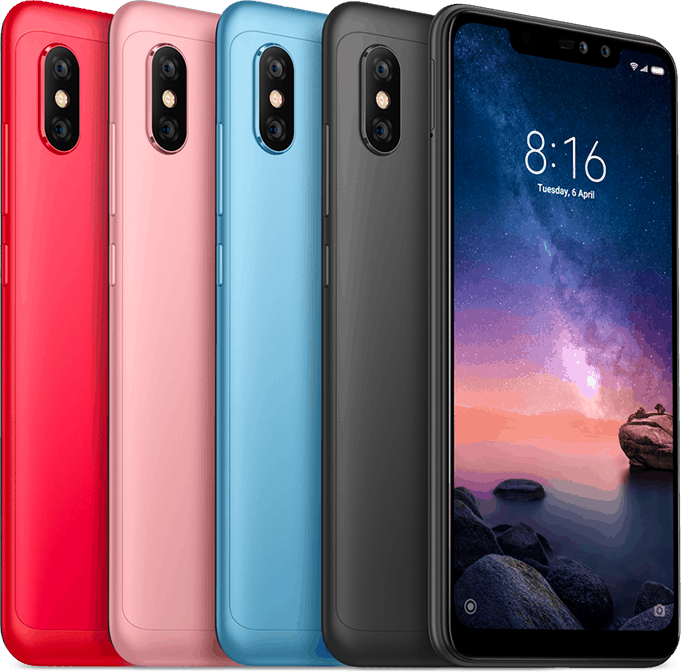 The Xiaomi Redmi Note 6 Pro display encompasses a 6.2-inch full HD, 2280×1080 IPS LCD. Though much of the coverture hardware in Note 6 is the same as in Note 5 Pro, the display has been the one area upgraded to a notable degree. The Note 5 Pro had disappointed users, for the dull and washed out display. Note 6 Pro has come a long way from its forerunner and now features a newer color reproduction panel, brighter and saturated contrast. Maximum brightness of 500nits can be attained, which provides perfect legibility in an outdoor environment. The MIUI also provides different display settings to regulate color contrast and temperature, with three color profiles. It supports the sRGB mode, while the HDR content and wider color gamut are not supported by the display. The LCD viewing angles are amazing, though a loss of contrast can be observed when viewing from obvious angles. 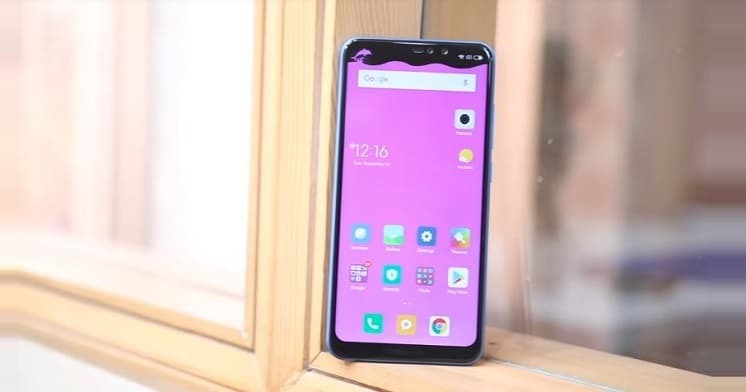 With a notch, the display size has been increased within the exact footprint of the prior version of Redmi Note. Virtually, there’s no real benefit of the notch, it is just a trend. Overall the display is the most amazing feature of the phone and performs pretty pleasingly. The camera was not a very strong point of Redmi Note series until the Note 5 Pro came out, which enjoyed a dual camera system. With the Note 6 Pro, the camera performance got to new highs, with the 12MP camera plus 5MP depth sensor on the rear. The sensors both on front and rear are upgraded while the megapixels remain the same. The Redmi Note 6 features a larger f/1.9 sensor and the pixel size has expanded to 1.4-micron. That will serve in enhancing low light imaging. The camera app is properly designed and offers an uncomplicated experience. Swiping left or right you can access different camera modes. Hamburger menu for further settings and normal use buttons are on the screen like flash, HDR etc. The dual camera performs remarkably good. The dynamic range is perfect, in proper lighting conditions the images have natural colors, in-depth highlights and maintain the details when zoomed in. The performance of the app is also good while clicking an image which is spontaneous and is quick to lock focus. HDR improves the dynamic range imaging, it gives details even in the dark, leaving the HDR on auto mode serves as auto HDR. Macro shots are amazing. In low-light conditions, the shutter speeds a bit slow that causes blur the object is in motion. Still, low-light photography is impressive for a budget phone. The front also has a dual camera, the 20MP selfie camera with a 2MP depth sensor. With the pixel size of 1.8 microns, the selfie camera is an enormous upgrade from the previous version in its predecessor. Selfie taken has great detail, edge detection is also good and the fine-tuning for improvement can be done. Xiaomi boasts for its AI scene detection technology, where the back camera can distinguish 32 scenes and the forward-facing camera can detect 12 scenes with artificial intelligence technology. All in all the performance of the four cameras are the prominent and highlighting feature of the phone. Redmi Note 6 Pro is pretty much similar to its predecessor in its hardware. Running a Qualcomm Snapdragon 636, paired with a 4/6GB RAM and storage of 62GB. The 636 is capable of handling all daily tasks pretty easily, as well as good for a light gaming experience. There aren’t any significant improvements in horsepower and generational performance upgrades. During the PCMark Work 2.0 performance test, Note 6 performed well. In web browsing 2.0 test, it was ranked lower than Nokia 7.1 but above the Moto Power-One. 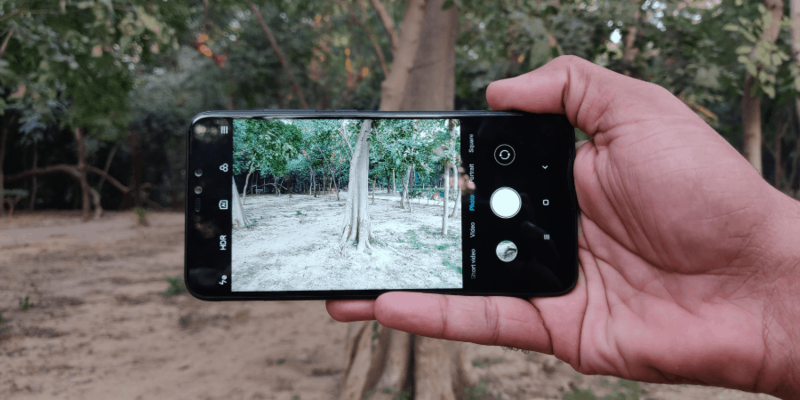 In video editing test it did outperform the Nokia 7.1, Redmi Note 5 Pro. The Xiaomi’s MIUI 10 system optimizes the performance up to 30-percent faster as claimed by Xiaomi. In reality, the app opening times are indeed fast and gives decent output compared to similar hardware on other mid-range devices. 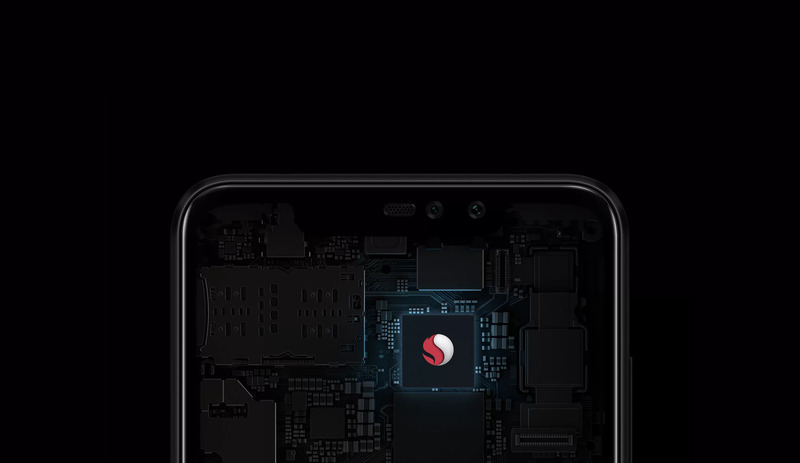 The Snapdragon 636 with eight Kryo 260 cores is an outstanding mid-range system on a chip. With that said the Note 6 has no issues in normal usage and performs pretty well to expectations. The battery also accomplishes its goals and works easily a day and half of battery life, however, it doesn’t support fast charging. Redmi Note 6 Pro runs Xiaomi’s exclusive UI named as MIUI 10. Comes with Android 8.1 Oreo updated to Android 9 Pie. The software tweaks from Xiaomi is optimized and makes it through everyday tasks without any problem. As claimed by the company, it does perform well in the opening of apps, faster than the Redmi Note 5 Pro. The software offers fluid experience and is popular android customization. Powered by an enormous 4000mAh battery the Note 6 Pro performs pretty well and can cope up to two working days with modest to hefty usage. It has a 5V/2A charging, which is not precisely fast charging but still fast enough that it can fully charge the phone in around two hours’ time. Xiaomi boasts 92 hours battery endurance rating and does perform better in standby then prior Note series. Due to a larger screen, it does have to struggle with the screen-on tests.